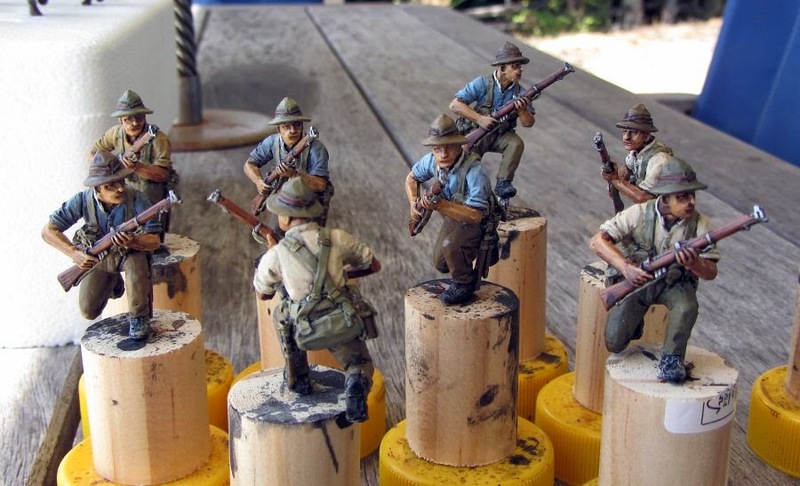 The other day Valleyboy from Tauranga took a few more photos of his completed figures, adding a few recently finished Turks. 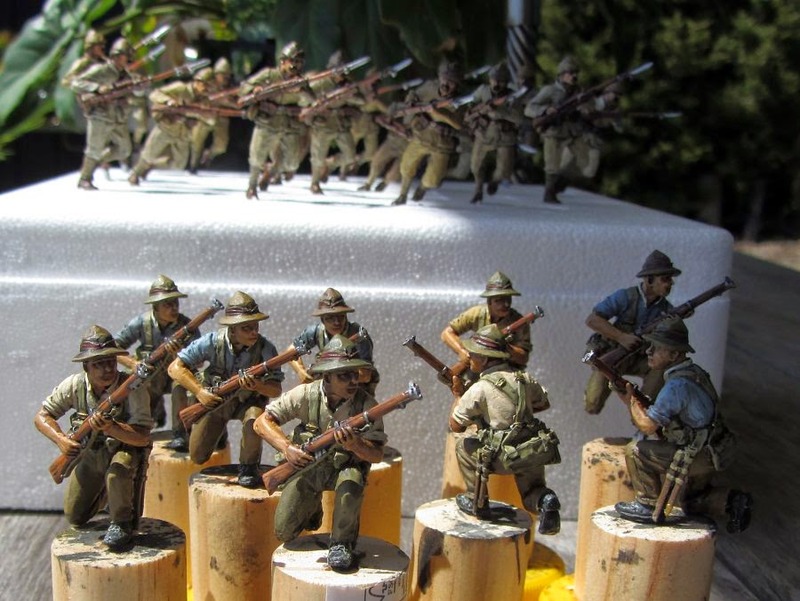 To date he has managed 18 Turkish infantry, and is now put the finishing touches to 9 Anzacs. More info on his blog here. The Turks have the high-ground, as they did at Chunuk Bair.